It is the time of year for members of the public to submit their nominations for this year’s Rustington Parishioners’ Awards. Two awards can be made, one to an individual and one to a group or organisation, in recognition of outstanding public service to the community. Anyone who lives in Rustington as well as any parish-based organisation, including voluntary groups and professionals, are eligible to receive these awards. 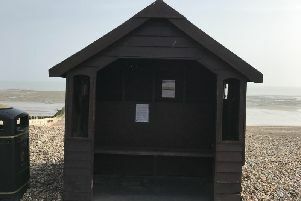 Rustington Parish Council has said that individuals, groups and organisations from outside of the parish, who make an outstanding contribution for the benefit of the community of Rustington, may also be considered for these awards. Both awards are ‘one in a lifetime’ and the council has said it will not present the award on more than one occasion to any individual or group. Nomination forms are available from the council offices and the Samuel Wickens Centre. The closing date for the receipt of nominations is April 23. Now is also the time for parishioners to start thinking about taking part in this year’s Rustington Parish Council Gardens Competition. The competition is divided into various classes to compete for, including residential or commercial window boxes, balconies, patio tubs, front gardens of any size, the schools’ competition and community gardens. The council would like to encourage people to start thinking about their planting plans now so people can nominate themselves, their neighbours, or any members of the community for the competition. The council has said further details will be advertised in May, or anyone interested in more information can contact the council offices or the Samuel Wickens Centre. Last year’s shortlisted entries in the gardens competition were judged by Arun District Council chairman Alan Gammon, East Preston and Kingston Horticultural Society secretary Jennifer Wallace and Michael Harwood from Ferring Nurseries. The judges’ special award for outstanding horticulture achievement went to Princess Marina House care home in Seafield Road.